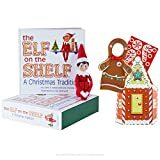 If you have children in your life, you’ve likely heard of the Elf on the Shelf (see at end of the article where to buy). 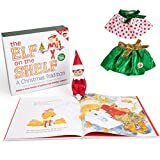 The Elf on the Shelf has been around for a little over a decade and has become a Christmas tradition for many families, as well as a way of keeping children behaved in the days leading up to Christmas. Prior to the Elf of the Shelf, parents told their children that “Santa was watching” and thus needed to behave. The Elf has taken this tale one step further and has become Santa’s eyes and ears. As legend goes, Santa sends “scout elves” from the North Pole to watch over children to find outif they are being naughty or nice. Each elf finds a different family to “adopt” him during the Christmas season. The children are told to name their elf, and doing so gives the elves magical powers. These magical powers allow the elf to return back to the North Pole each night and give Santa a status update on the behavior of the children. The children are not allowed to touch their Elf on the Shelf – if they do, the elf will lose his magical powers. 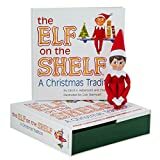 The elf travels to the North Pole every night and returns to a new location in your home, often causing mischief in his wake. When kids wake up the mornings, they must see where the elf has settled himself, and what trouble he has managed to cause! Over the years parents have gotten creative with this “mischief” and the kids seems to love it. 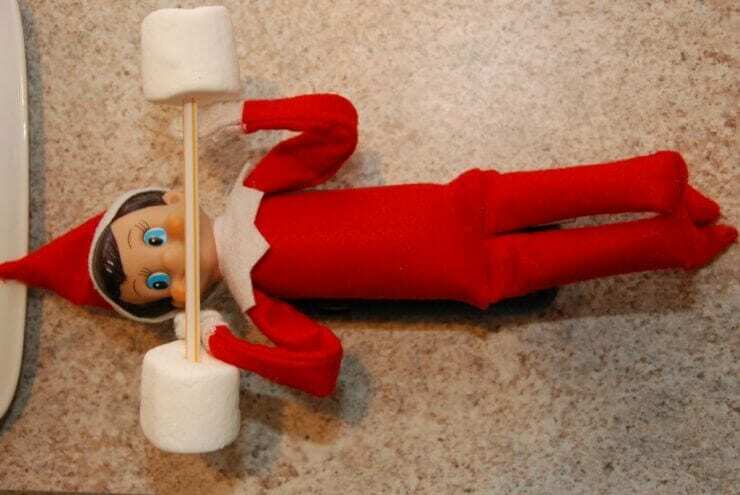 But often times parents need some Elf on the Shelf ideas, as moving him every night can become tiring! If you have an Elf on the Shelf in your life and need a little inspiration on what mischief he can get into, we’ve got you covered. 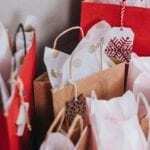 Parents’ favorite Elf on the Shelf ideas are usually ones that don’t involve a lot of mess. While it’s fun to occasionally pour flour on the counter so your elf can make snow angels, it’s also a mess to clean up! 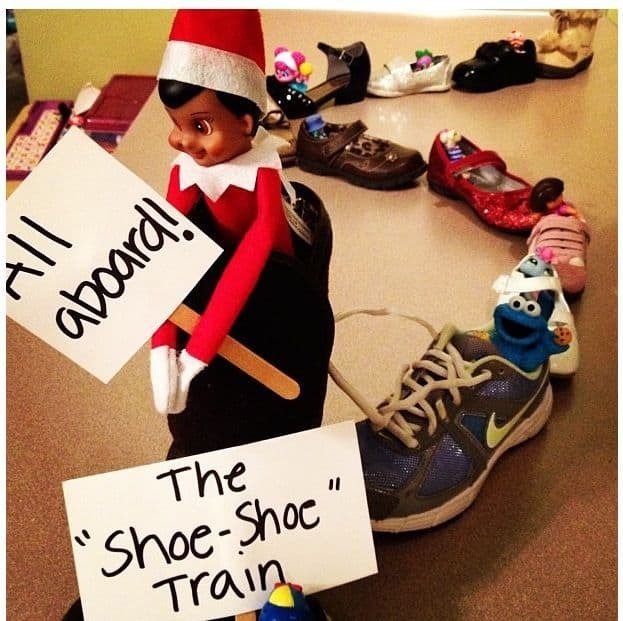 Thankfully not all great Elf on the Shelf ideas require extensive cleanup, and this “shoe-shoe” train is one of them. Your kids will love the playful side to their elf and enjoy seeing their other toys join in the fun! If you want to geteven more imaginative, your elf can leave your kids a note telling them the he took the “shoe shoe” train back to the North Pole and brought some friends along for the ride to meet Santa! If your kids are fans of the movie Frozen, they’ll love waking up to see that Elsa has frozen their elf! 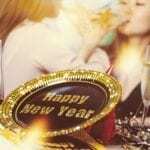 Parents will love this easy, mess-less idea too. 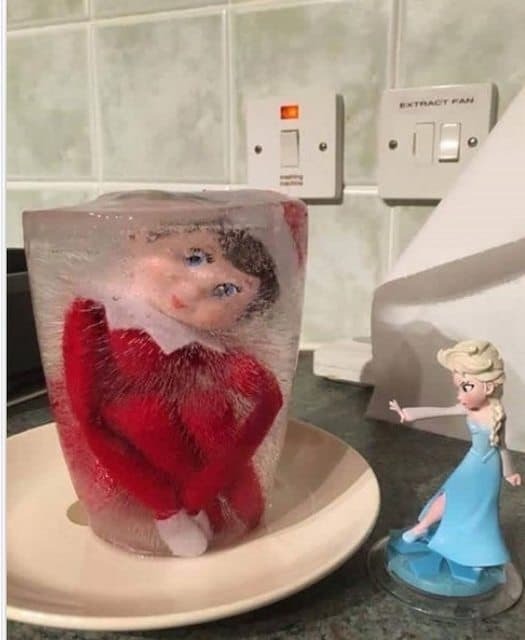 Yes, it may take awhile for your elf to defrost and fully dry, but you can just throw him in the sink while your kids are in school and by the time they come home, he’ll be good as new and can goback to his home on the shelf watching over your family. If you live somewhere where there isn’t an abundance of snow, consider bringing a bit of the fun to you in the form of an igloo! 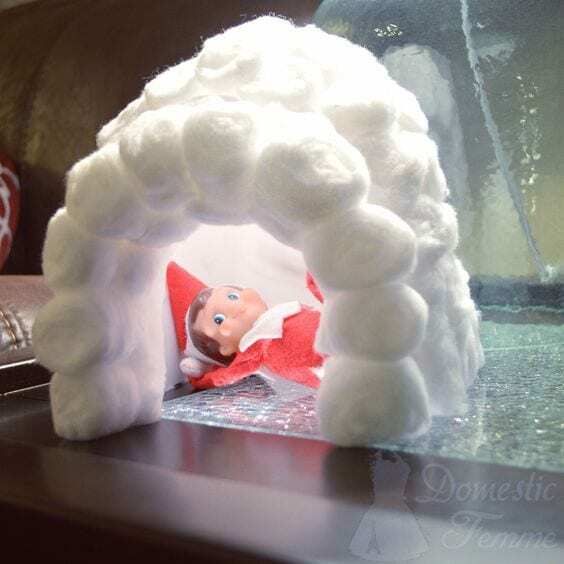 No, it’s not cold and it’s not real snow, but perhaps you can tell your kids that their Elf on the Shelf misses the snow and found cotton balls to be a great (and warmer!) option. 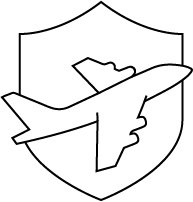 We will warn you – this will require a bit of work on your part. You’ll need to create a base for the igloo and glue the cotton balls to it, so if you’re short on time or not the craftiest, maybe skip this one. Do your kids love golf? 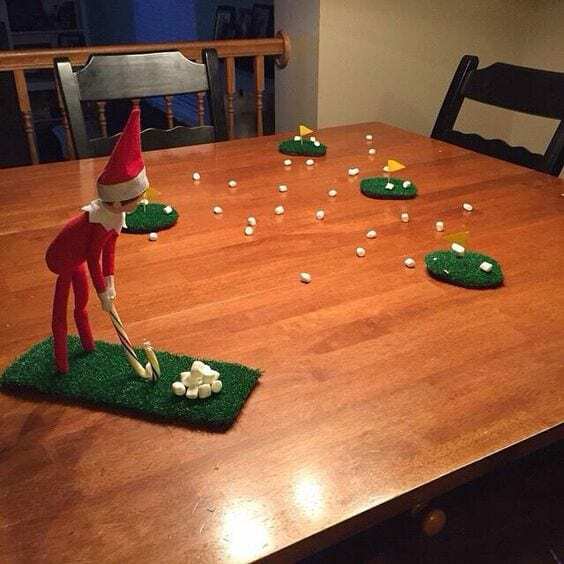 What fun if their elf is a golf fanatic too! 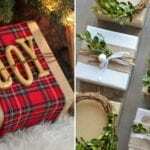 To create this look, you’ll need a bit of astroturf for the green, a miniature candy cane for the golf club, and – most importantly – some itty bitty marshmallows for the golf balls! Make sure you clean the surface in advance, and you can let your kids enjoy the marshmallows with some hot chocolate when they wake up. This way, they get to help you clean and enjoy it along the way. Elves are notoriously mischievous, which means sometimes they loose track of time and forget to go back to the North Pole! If you need a break from the Elf on the Shelf, you can either tell your kids he’s sick, or make it look like he simply forgot to go back to the North Pole and perhaps felt so bad about disappointing Santa that he behaved himself during the night and didn’t cause any trouble. Little kids love bathroom humor. They think poop jokes are hilarious, and their favorite emoji is the poop emoji. So why not insert a little bathroom humor into your Elf on the Shelf game? 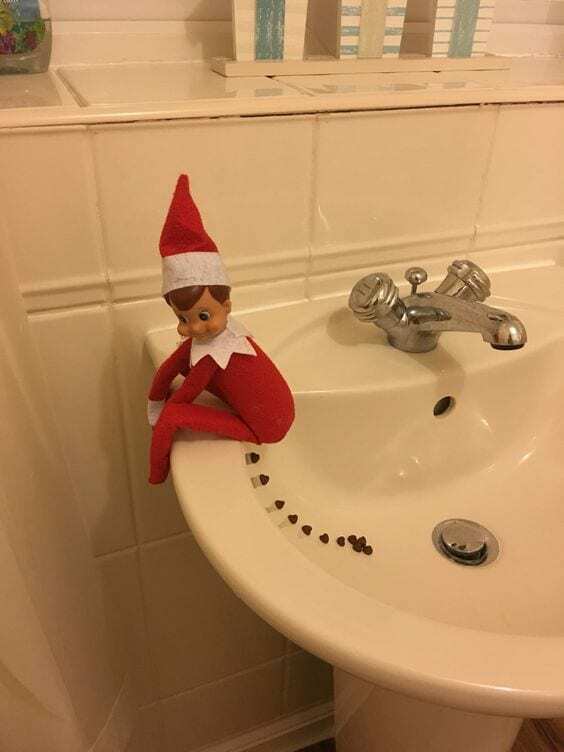 With the help of mini chocolate chips, your elf can “poop” in the sink, on the counter, or really anywhere you think your children will find funny! Rub a dub dub, one elf in the tub! This creative Elf just happened to have some doll house toys laying around that aided in the creation of a spa-like environment. However, they’re not necessary, nor is the crockpot. 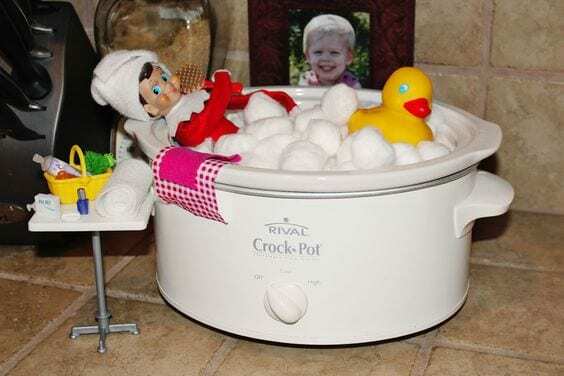 To recreate this look (or a version of), just fill up a pot, pan, or even a bowl with some cotton balls, add a bath toy and a towel, andyou’ll be good to go. This is a particularly good Elf on the Shelf idea if your elf had a particularly messy night the night before. This elf had the best of intentions when he tried to bring a snowman back from the North Pole, but he forgot one important thing: snowmen need to be left out in the cold! To create this look you’ll simply need a carrot, some sticks, and – if you have them – some google eyes and buttons. If you’re not feeling as creative, just throw in a carrot and some sticks. The note is the most important part. Just make sure your kids don’trecognize the handwriting! When we talk about “messy elf ideas,” this is one of them. 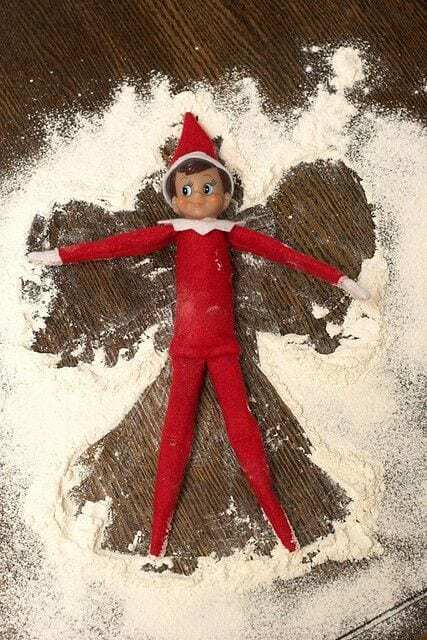 However, if you’re willing to make a mess of flour on your counter, then we highly recommend the snow angel elf. Kids love making snow angels and elves do too. But, what’s an elf to do if there isn’t any snow around? Simple: improvise with flour. Just make sure your kids don’t try this as well or you’ll have a massive mess waiting for you! Whether you enjoy bathroom humor or not, we guarantee your kids do. So, why not embrace it and give them what they want? 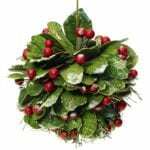 The holidays are a time for giving, afterall. 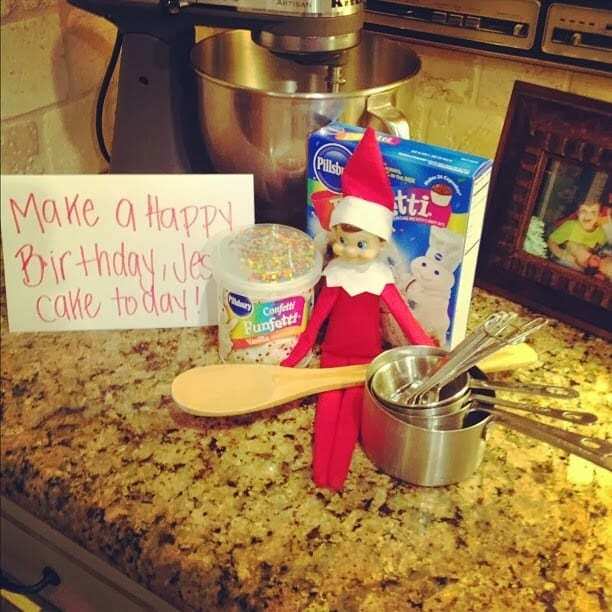 This is one of our favorite Elf on the Shelf ideas for the weekend: have your kids wake up to find their elf wanting to get crafty with them. It doesn’t have to be a cake: you can also have the elf propose a pancake breakfast, Christmas cookies, or even more holiday treats. Going back to the North Pole each night is exhausting, and sometimes elves need a bit of shut eye. 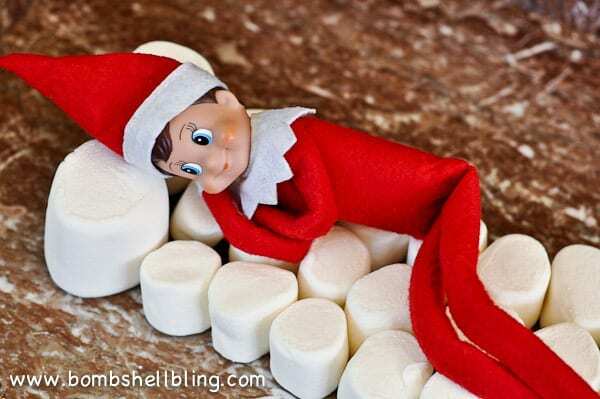 This elf was fortunate to find a bag full of marshmallows he could make his bed out of! If you don’t have any marshmallows, cotton balls make excellent beds too. If you want to take it a step farther, find a blanket your elf can use to keep warm. Once again, kids love bathroom humor, underwear jokes included… If your kids wake up tosee that their Elf on the Shelf has replaced their stockings with their underwear, they’ll be laughing about it for days. 14.) You’ve Been TP’s by the Elf! Naughty, naughty elf. We’re not sure why kids think Santa approves of the Elf on the Shelf misbehaving but not kids. If your kids wrapped the tree in toilet paper, they most likely would not make Santa’s “Nice List”! 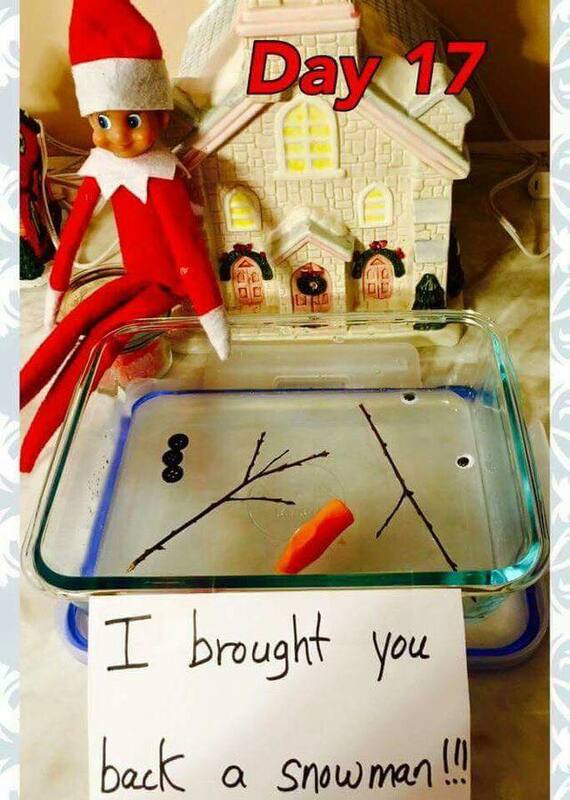 This is a creative Elf on the Shelf idea that doesn’t take too much work (or additional items) on behalf of the parents. 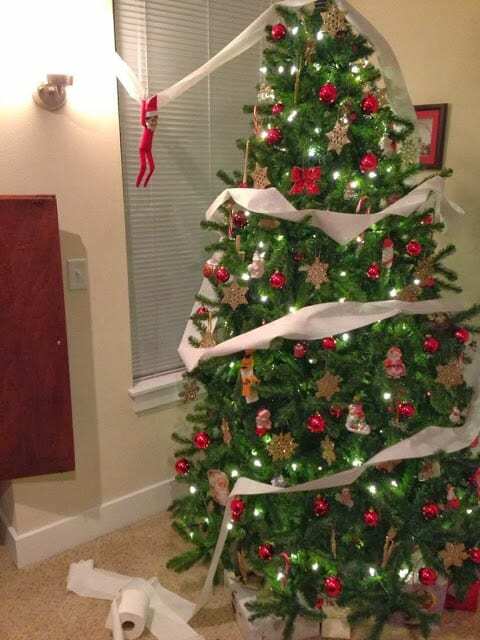 To create this mischief, you’ll simply need to secure the end of the toilet paper roll to the wall, wrap the tree a few times, and then your elf hold repel down to the TP. 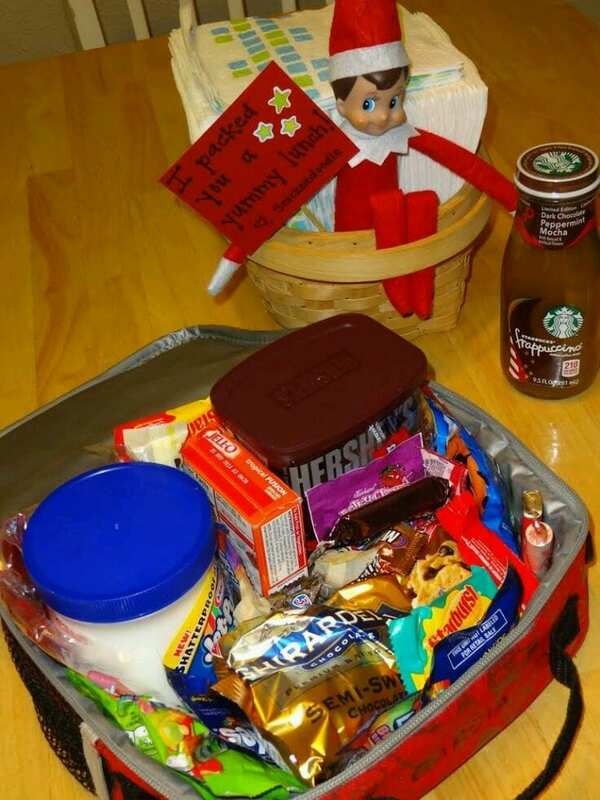 Sometimes elves want to be helpful but just aren’t… If you still have Halloween candy laying around, consider having your Elf pack a sugar-filled lunch for your children. We must warn you though – the kids may not appreciate it when you tell them they can’t bring this sugar-fest of a lunch to school. And if you do let them bring it, the teacher’s are guaranteed to put you on their naughty list! 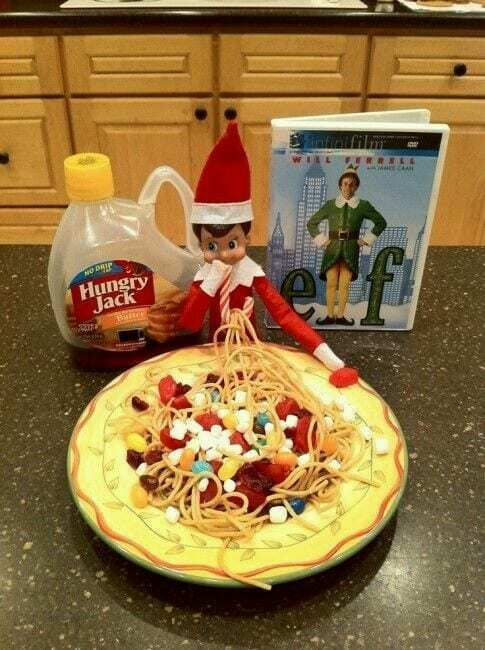 If you’ve seen the movie Elf, one of the best Christmas movies and best Will Ferrell movies of all time, then you remember the scene where elf adorns his spaghetti with candy, maple syrup, and other sweets. What if your Elf on the Shelf was inspired by Elf the movie? We recommend having a movie night with your children the night before and watching Elf. Make sure your Elf on the Shelf is in the room so he can “watch” the movie as well. When your kids wake up and see what their “adopted” elf had for breakfast, they’ll find it hilarious that he was inspired by the film! 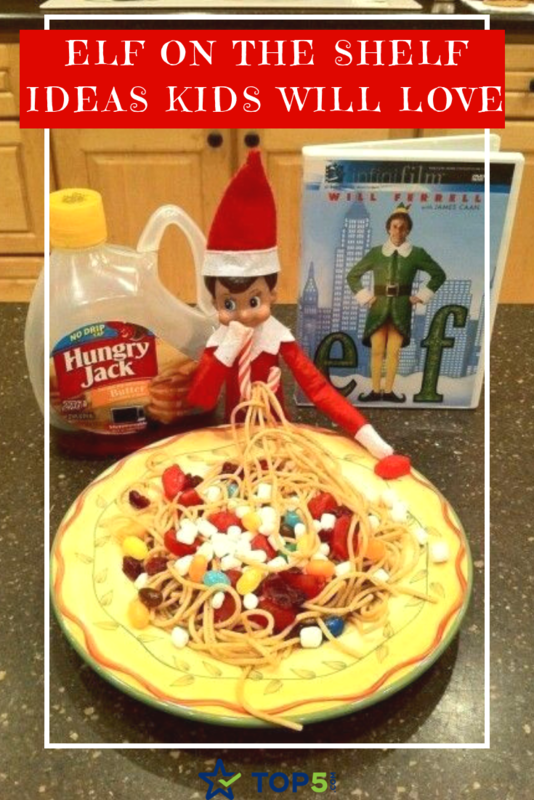 File this one under Easy Elf on the Shelf ideas! We know that moving the elf nightly and devising creative ways for your kids to find him can be exhausting. If you’re out of ideas, and don’t want one involving a mess, consider a cardboard cutout. 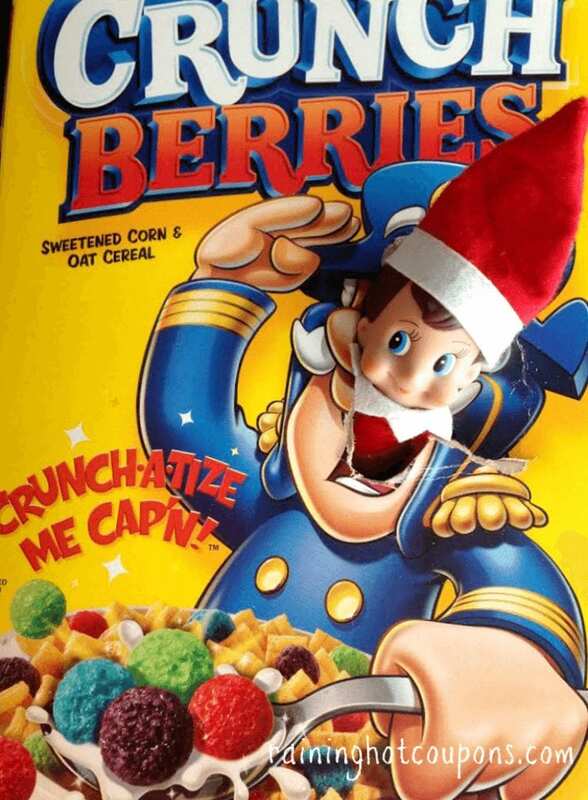 If your kids are cereal lovers, take their favorite cereal and let the elf have a little fun with it! Yes, it’s certainly fun if the cereal has a fun logo like this box of Captain Crunch, but the mischievous elf can still have fun with a box of cheerios, fruit loops, or really any type of cereal. When the elf brought his friends to the North Pole on the “shoe shoe train” they loved it. And now the other toys are jealous! If your kids have a few favorite stuffed animals, lego toys, barbies, or other characters, why not make them jealous that they weren’t invited to the North Pole too? 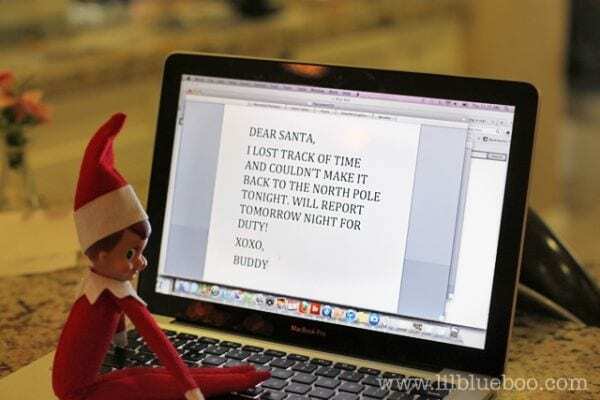 Perhaps the elf’s trip to the North Pole took less time than he’s anticipated, so he had a few hours to play games with his friends once he returned home. Consider setting up your kids’ favorite board game with your elf and other toys. You can then play the game with your kids too. Traveling back to the North Pole each night takes a lot of effort, so it’s important to stay in shape! This little elf got creative and made a barbel out of marshmallows and a straw. 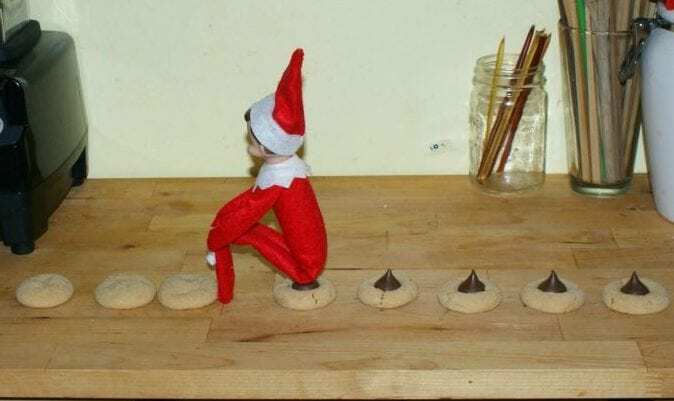 This is another one of our favorite Elf on the Shelf ideas because it’s easy, mess-free, and you likely have the tools in your pantry already. Do you have an Elf on the Shelf? Tell us in the comments about the craziest mischief your elf has ever gotten into!